Record up to eight tracks on a luscious multi-touch mixer with meters, faders and knobs.  Control multiple parameters simultaneously, like an analog console. Re-arrangeable channels help you keep your tracks organized. 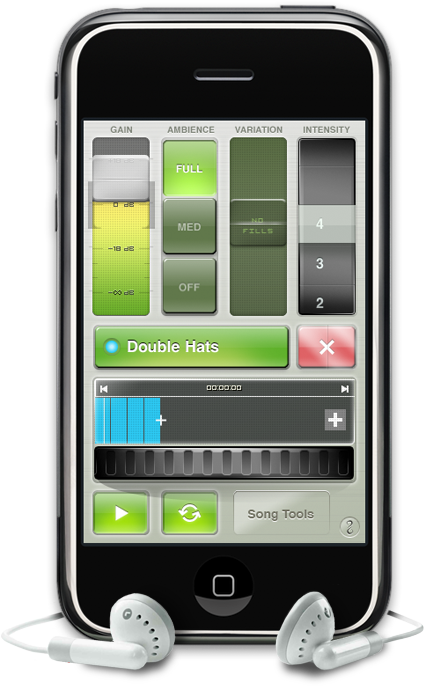 FourTrack multitrack audio recorder is a songwriting and practice tool for singers, guitar players, piano players, and others who want to capture musical ideas and record songs on iPhone® and iPod® touch. Inspired by the ultimate collection of iconic and boutique amps and effect pedals, GuitarTone offers a wide variety of high quality tones. Sonoma has created tonal interpretations of essential vintage and custom amps, pedals and microphones, and assembled them into GuitarTone. Get 3 amps and 3 effects in the free GuitarTone App. 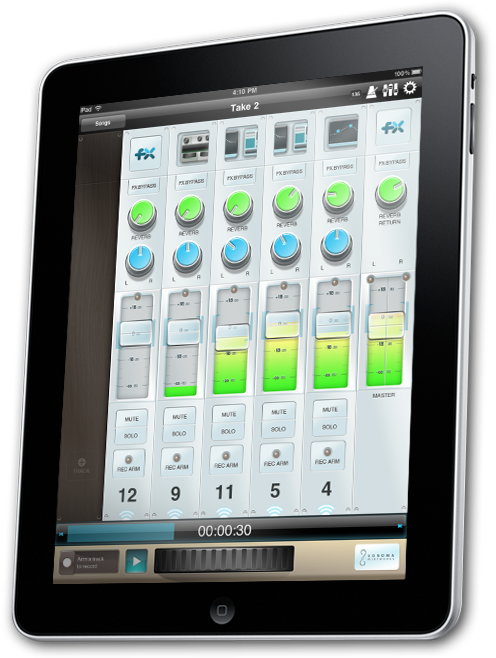 These are also in FourTrack and are coming soon to StudioTrack, Sonoma’s critically acclaimed recording Apps. Easy to use, customizable drum loops for iOS. Pick a groove, tap in a tempo, and InstantDrummer inspires you to play along with continuously varying drum tracks using perfectly matched, full kit studio drum recordings by professional drummers. AudioCopy your drum arrangement into AudioPaste enabled apps like FourTrack. InstantDrummer: Heartbreaker (pop rock) was the first. Jason McGerr (Death Cab for Cutie) recorded Heartbreaker on his Ludwig drum kit at Two Sticks Audio. Other styles: heavy rock, metal, world, funk, country, hip hop, and more. Enhance the sound of a Taylor Guitar when played through the GuitarJack iOS accessory. Select from a range of EQ presets that complement Taylor’s signature guitar body shapes, including the GA, GS, GC, Dreadnought, T5, or the GS Mini. Each EQ preset was custom designed by Taylor Guitars’ engineers to optimize the tone of each body shape for use with GuitarJack. Sonoma Wire Works has joined forces with other companies to make iOS audio tools work together in ways that create the best user experience. For information about joining this effort, see the Mobile Audio Product Interaction Partner Program (MAPI™).